What can possibly happen when a crime happens under the very noses of a group of very savvy eighth graders at St. BeSillius’ Catholic School on St. Frederick’s Island? When the money they raised to buy toys for children in homeless shelters in near-by NYC is stolen, the Buccaneers, as they call themselves, are outraged. Despite warnings from Father Felix and Sr. Jo-Ann, Sprocket, the leader of the Buccaneers, and her determined buddies set out to follow the clues, run down the thief, and get those toys for the homeless kids. If you think it’s easy writing a note to the kid in the seat next to you when the rattling of Sr. Jo-Ann’s rosary would announce her slow walk down my aisle at any moment, you’ve never been to Catholic school. The room is silent. You can hear pen nibs scratching across the pages of our black and white composition books, leaving a trail of ink blots. A floor board squeaks. I hear the faint clink of keys as if Sister has reached into the Stygian depths of her pocket for something. I slide my ruler over the words I’ve just written, and peer cautiously from the side of my vision trying to locate Sr. Jo-Ann. My stomach bunches. She is reading Eddie O’Malley’s entire page. Eddie’s not one of us, so there is nothing out of the ordinary to see in his notebook. My page is full of writing, but not what I think I want Sister to see. So far I’ve jotted a list: LOOK FOR CLUES, including the narvex, the sacristy, the side entrance, the choir loft, and the bushes around the church. I’ve signed it, Sprocket. Sprocket? Is that a Christian name? Of course not, silly reader. We all have code names to protect the innocent. We are the Buccaneers of St. BeSillius, a secret society dedicated to solving the secrets and misdeeds of our little parish school and the island where it’s located. George was an Anglican having once been a colonial, loyal to the King of England, also a George. But, I digress. Eddie, I love him dearly, is buying me time. Could I quietly turn the page and jot a quick sentence or two? I pick up the notebook and turn the page, knocking a pen full of ink onto the floor along with the ink well. As you can imagine, this was not a silent maneuver. Sr. Jo-Ann, Eddie and the whole class look at me. I feel my face burn. I get up to clean the mess and knock the composition book on the floor with my note showing plainly on top. Sister reaches for it. I’M DEAD! The fire drills sounds. Sister turns to move the class to the fire exit, and I kick the composition book under the desk. It obliges me, closing with a snap. “I’ll clean this later, Sister” I smile. “Yes, Sister,” I say, noting the ink slowly seeping across the pages of my notebook. The proverbial glove his been tossed onto the floor like they did in those ancient duels. I file past her. 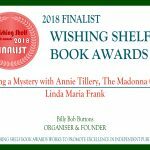 Let me digress for a bit and fill you in on some details about why we are listing clues and what all this skulduggery (Great word, isn’t it?) is about. Well, before I fill you in on what happened when we found those clues, let me explain who we are. We originally called ourselves The Secret Crime-Stoppers of Sts. Christopher and Michael, but I wanted a shorter title like Buccaneers of St. BeSillius. I thought calling on both St. Christopher and St. Michael was pushing the envelope of sponsorship. And who even knows who St. BeSillius is? So, just think of us as the Buccaneers. Anyway, even though the sisters and priests said we should offer it up to God. I’m not sure what that means, the money, or the cursing we did? And, we should learn a lesson. Next time lock it up! And where were we supposed to lock it up? This didn’t go down too well with some of us and one night last summer at WingNut’s beach house on St. Frederick’s Island, we decided to form our own little CSI. 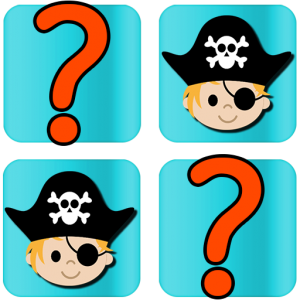 We voted on and accepted our official title, Buccaneers of St.Besillius. Look. You can’t beat our creativity in naming the group. We even researched St. BS. He is the patron saint of mimes. We tried to think of a secret handshake but that seemed too silly, even for us. The all clear gong sounded and we headed back to class. Best not to create any more suspicion at this point. Wing Nut re-inflated, and we did a fist bump. “Yes, Sister Superior,” we chorused, and scurried off, hoping to escape any remedy she had for breaking fire drill rules. I turned around quick to see Sister JoAnn talking to Sister Superior, frowning and pointing to us. Well she couldn’t stop us from what we planned to do. Too late for that.